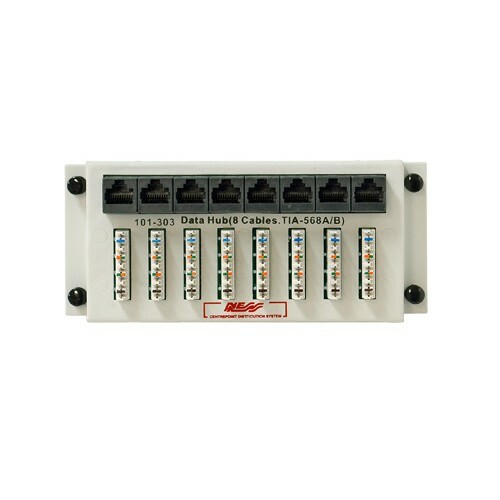 Ness have created an extremely useful combined RJ45 patch panel and punch down block, suitable for alarm, data and other applications but that also makes a great central C-Bus network link. The Unit makes troubleshooting your C-Bus network much easier by allowing easy connection and disconnection of multiple C-Bus cable legs, central C-Bus resources such as Wiser2 and C-Bus pink RJ45 cable DIN Rail linked equipment. 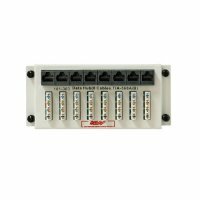 Best located near the main C-Bus electrical board in your home for C-Bus use.